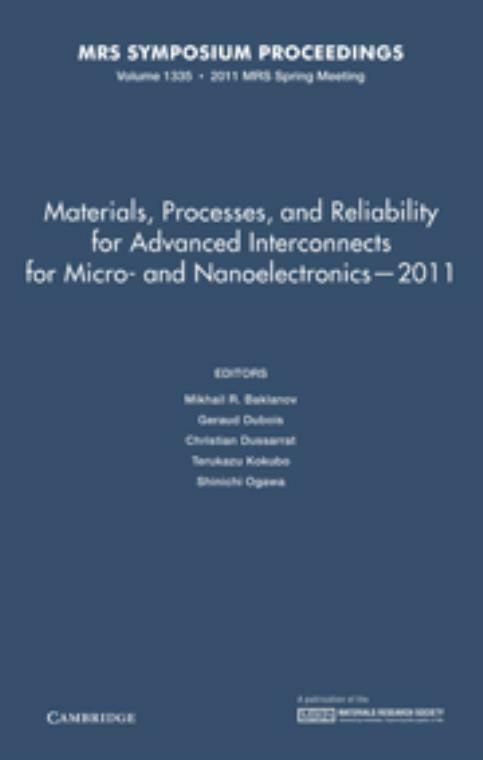 This volume includes selected papers based on the presentations given at Symposium O, 'Materials, Processes, and Reliability for Advanced Interconnects for Micro- and Nanoelectronics', held at the April 25−29, 2011 MRS Spring Meeting in San Francisco, California. The symposium included topics relating to low-k dielectrics, integration, reliability, metallization, packaging and emerging technologies. 17. Tailoring the crystallographic texture and electrical properties of inkjet-printed interconnects for use in microelectronics Romain Cauchois.